Another Bogohanon has brought honor to the City of Bogo anew. Ms. Mira Mae Dimerling of Nailon, Bogo City, Cebu has won beauty title this past few months. Last May 05 2011, the Mr. & Ms. Eco-Tourism Philippines – Cebu Leg pageant was held at Teatro Casino, Waterfront Hotel Cebu in Lahug, Cebu City. Ms. Dimmerling joined the contest representing the City of Bogo and she succeeded in her quest to take the title of Ms. Eco-Tourism Philippines – Cebu Leg. She also got 2 minor awards, the Miss Glutanine and Best in Casual Wear. Mira Mae represented Cebu in the national level of Ms. Eco-Tourism Philippines which was held last June 18, 2011 at Canyon Cove Beach Club, Nasugbu, Batangas. She landed as 1st Runner Up. 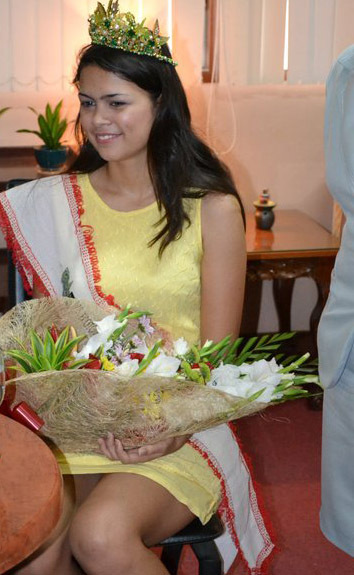 She was warmly welcomed by the Bogohanons when she came home from Batangas after the pageant. No less than Bogo City Mayor Junie Martinez led the Bogohanons together with some City Hall departments as they welcomed Mira Mae. Congratulations Mira Mae, the Bogohanons are very proud of you. We’re wishing more success in your career. More power also to Mr. Lemuel Evangelista Rosos, one of famous designers in Cebu. CONGRATULATION PRETTY MIRA MAE,...JUST KEEP IT UP,.